Design Group Press, 9780979127755, 71pp. 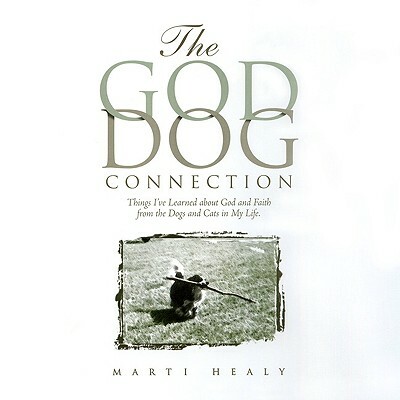 Readers will be delighted by Healy's 25 true stories of pets, and the connection between her dual passions: animals and God. The parallels Healy draws between animal and human behavior are thought provoking and moving, and will give readers, especially those with strong bonds to their dogs or cats, a new way of picking up the pieces of faith-based wisdom these animals impart, just by being themselves. This slim, attractive book also features photographs of many of Healy's canine and feline friends. Stories that illuminate spiritual truth and speak to people of many different faiths. A devoted animal lover, Healy finds meaning in her pets' exploits, whether it's Pookey the dog "babysitting" a cocker spaniel puppy, Kate the cat becoming a ventriloquist, or Trouble getting loose from the safety of the backyard. While based on primarily on Christian principles, people with many types of religious backgrounds will appreciate the lessons Healy learns from animals.